This Rehab Suite is for ProComp5, ProComp Infiniti and FlexComp Infiniti systems. This Suite is primarily designed for physical therapy, sports medicine and orthopedics applications, and secondarily for massage therapy, occupational therapy, education and research. 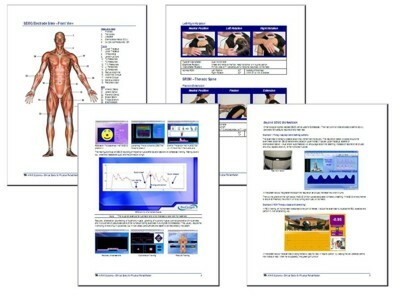 The Rehab Suite proposes various assessment and training protocols with very helpful guidelines for beginners, as well as experts. 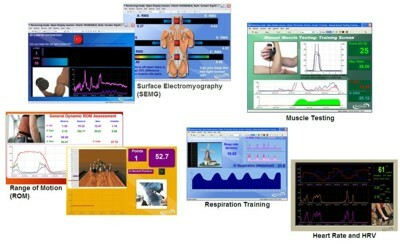 It combines dynamic graphics, with analysis and reporting functions, the result of 30 years of experience in Biofeedback. Simply click on "Quick Start", choose your patient and training program, and start treatment. 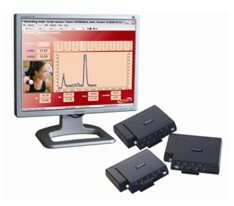 Single and dual channel line graphs, bar graphs and digital displays.